Welcome to St. Anne’s Primary School. Here in St. Anne’s we have a large staff to cater for the needs of our children. We have mainstream teachers and learning support. We have a teacher for the Speech and Language Unit. Our special needs assistants are a great support to all the children. Of course our team wouldn’t be complete without mentioning our secretary, caretaker and cleaners. 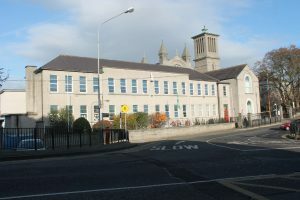 Most of the children enrolled in St. Anne’s live in Navan.The school has a number of international students and has a long tradition of inclusive engagement with children of the travelling community. The school caters for a number of children with special educational needs in a mainstream setting. There is a Speech and Language Unit in the school. This class caters for 7 children. The Board of Management and our Parent’s Association work tirelessly to support the development of the school. St. Anne’s Primary School has a Catholic ethos, which strives to nurture each child to develop his or her potential in a caring environment. The Mission of the school is to promote the highest possible level of education for the community of Navan and its environs. As a school community we try to foster respect, co-operation and self worth within a caring atmosphere. We aim to create a positive learning environment, using our collective talents to meet the needs of each child in our care.